Well another book read and I am sure that many of you have either read the book or watched the movie. 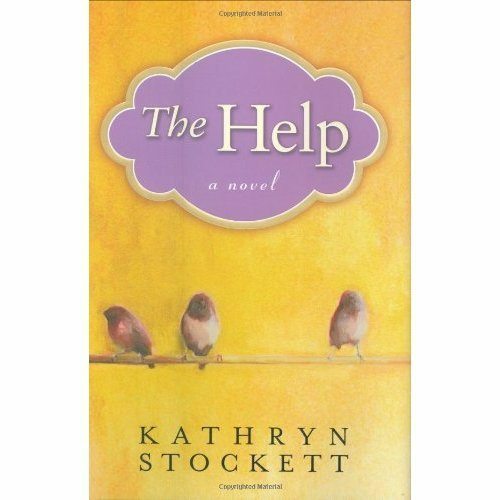 This book was written in 2009 by Kathryn Stockett. Her first novel and many critics behind it. I had read this book when it first came out. I decided to re-read it when it was made into a movie. I loved it all over again. Set in Jackson Mississippi during the 1960’s it has many tense moments with the conflicts between the two races. Many African-American women were employed by many white households and their stories are told from the first person perspective about the treatment their had to endure whether good or bad. Skeeter is the white girl who writes their stories but is always in constant fear of being caught. The African-American maids are afraid that if they are found out that they will be fired from their jobs and the real possibility of being jailed or even worse..killed. Skeeter Phelan is just home from college in 1962, and, anxious to become a writer. She begins to collect the stories of the black women on enlisting the help of Aibileen, a maid who’s raised 17 children, and Aibileen’s best friend Minny, who’s found herself unemployed more than a few times after being really sassy to her white employers. The book Skeeter puts together based on their stories brings hope and pride to the women. Full of strength and history, this book is now a bestseller. Holly lives in Gaspe, Quebec but enjoys making many trips to Ontario to visit family and attend blogging events with Trina. Holly has an older son and is grandmother to two beautiful little girls. Holly invites you to share your thoughts on Grandmotherhood and reading with her. Next Next post: Another Picture Blog – High school Christina!